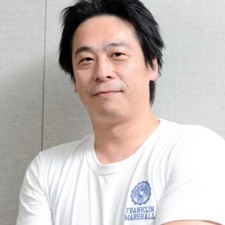 The director of Final Fantasy XV Hajime Tabata (pictured) is working on a game based on the Paralympics. The Square Enix vet's new studio - JP Games - debut project is called Pegasus Dream Tour and sees the developer working with the International Paralympic Committee. The next Paralympic Games is taking place in Tokyo in 2020. While the project hasn't been given a release date, it's likely that it'll be launching around the sporting event. "This is not just an ordinary video game about sports," Tabata said. "JP Games is going to represent fully the wonders that are unique to Paralympic sports in this brand-new role-playing game - a genre we excel in. IPC president Andrew Parsons added: "The sport at the Paralympics is outstanding and helps transform attitudes towards persons with disabilities like no other event. I am really excited to see and play this game and see how the outstanding abilities of Para athletes are represented." Tabata left Square Enix left the publisher at the end of 2018 just six months after setting up a new internal studio called Luminous Productions at the Final Fantasy giant.